Local photo artist Sheryl Falls 'shot' the Buttertubs Beaver yesterday, who like us two-legged creatures was enjoying another late January winter day in Nanaimo. 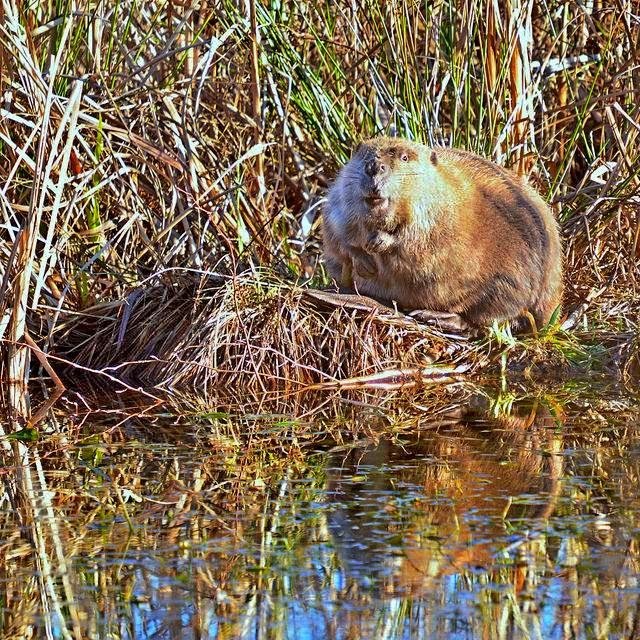 Some of the marsh regulars commented that they hadn't seen the beaver for quite some time and had been concerned he/she had come to a bad end. Last seen slowly swimming back to the lodge in the marsh.